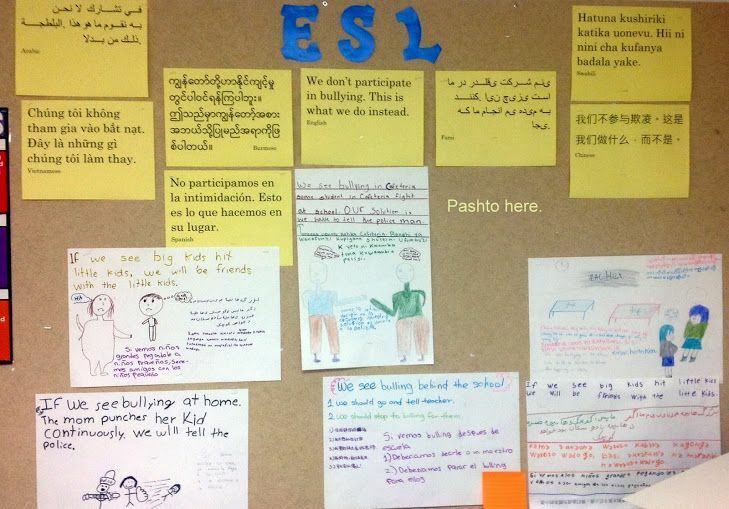 Our newest refugee students created an anti-bullying wall in multiple languages today during advisory. Each student had to write out their message in several languages (including ones completely foreign to them). As a No Place for Hate campus, anti-bullying is an initiative we take very seriously. The finished product can be seen below.